In the world of rally nothing can be taken for granted. The challenges that competitors face on every mile make finishing an event a tremendous accomplishment; and for many, winning an event is a lifetime accomplishment. 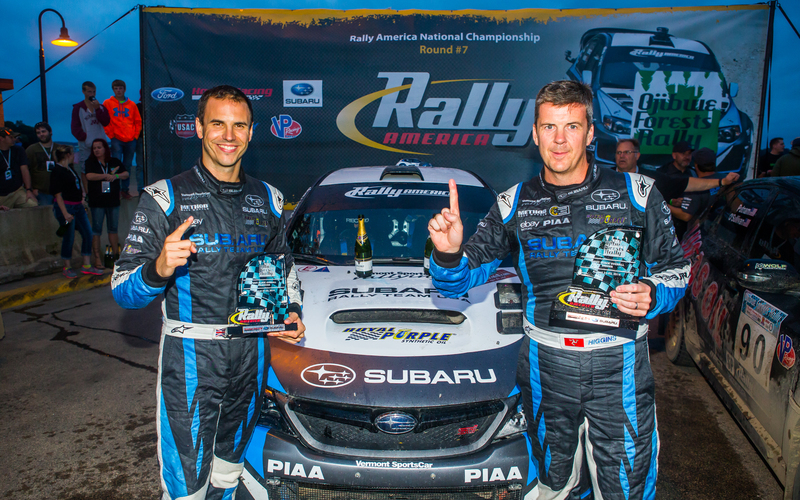 For Subaru Rally Team USA driver David Higgins and co-driver Craig Drew, what they stand poised to do is something no team has succeeded in since 1987: win every event in the Rally America National Championship to claim a perfect season. Despite their apparent dominance of the Championship so far, their winning streak has not come easily. SRT USA started the season with an entirely new and unproven platform, the 2015 WRX STI. The new rally machine dubbed VT15r performed flawlessly starting off the 2015 season at the top of the podium – a testament to the extensive experience and preparation provided by Technical Partner Vermont SportsCar. SRT USA rolled into the town of Atlanta, MI for Sno*Drift Rally with their 2015 WRX STI still wearing its winter camouflage livery from pre-season testing; much to the joy of their rally fans. With studded tires prohibited from the event, the ever changing road conditions of ice and snow make the event extremely challenging. David Higgins and Craig Drew drove flawlessly scoring a win for the VT15r on its maiden event. As the season progressed new challenges arose. Weather caused great turmoil at the classic high-speed 100 Acre Wood Rally when a snowstorm blanketed the area. At the Olympus and Oregon Trail rounds rough roads, muddy and slippery conditions kept SRT USA#75 on their toes. Impacts with large rocks and unexpected flats tested the endurance of the car, and the skills of the Vermont SportsCar technicians to repair damage during tight service intervals. The greatest challenge to the perfect season came during the New England Forest Rally (NEFR) where David Higgins and Craig Drew had to defend their winning streak against formidable competition. 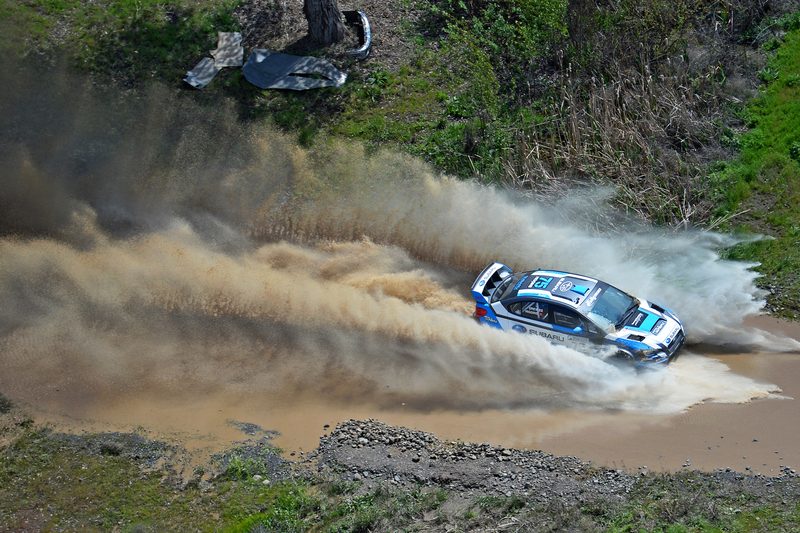 Vying for the win included Subaru teammates Travis Pastrana and Chrissie Beavis, along with a two-car effort from Ford, consisting of 2013 NEFR winner Ken Block and 2006 NEFR winner Ramana Lagemann. It was here the #75 Subaru would show its true ability at the limit. Higgins ran flat out from the start, securing a 5 second lead on the first stage. 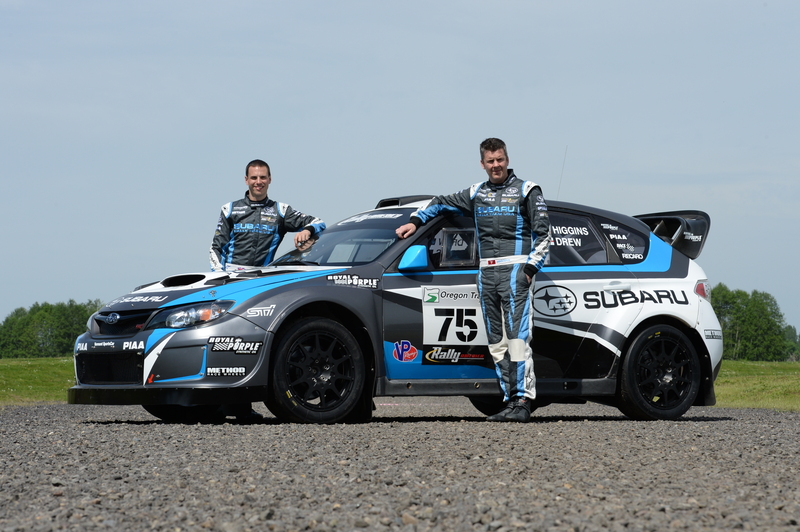 They never looked back and let the world know the 2015 Subaru WRX STI piloted byDavid Higgins and Craig Drew were the team to beat in America. 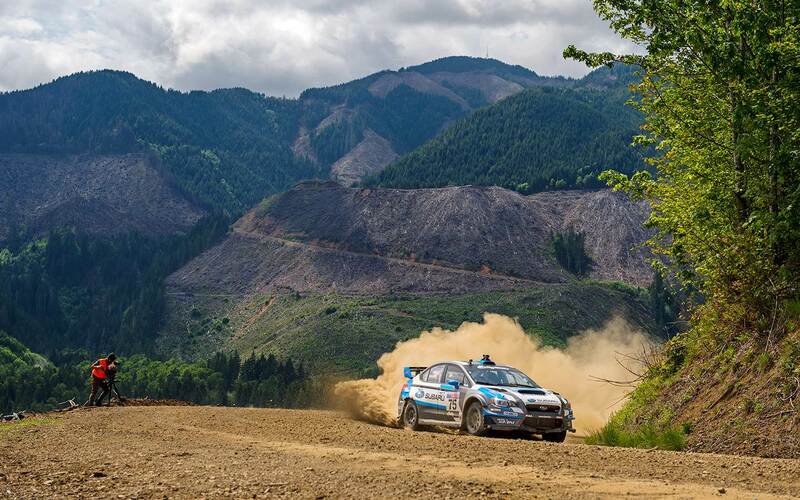 With the eighth and final event of the 2015 Rally America National Championship the Lake Superior Performance Rally happening this week, we wish David Higgins and Craig Drew the best of luck in earning Subaru Rally Team USA their first perfect season! Broken Motorsports’s Bill Petrow and Ryan Symancek’s 2WD Mount Washingtion Hill Climb Record Setting run! ← Previous Post: Is World RX Better Than Dakar?